In this tutorial, I go over a few different techniques in Cinema 4D to get that low-poly style that has been popping up around the web lately. I will show you how to use the Connect Object, the Displacer Deformer and the Polygon Reduction deformer to get this specific technique working on your models or shapes. I’m not exactly sure how the actual artists are doing this cool stuff, but this is what I found to work pretty well. Here’s another really great example! Thanks for the hint – this one is really awsome! That one was really cool..
wonder what program they used. And thanks for sharing, Remington. 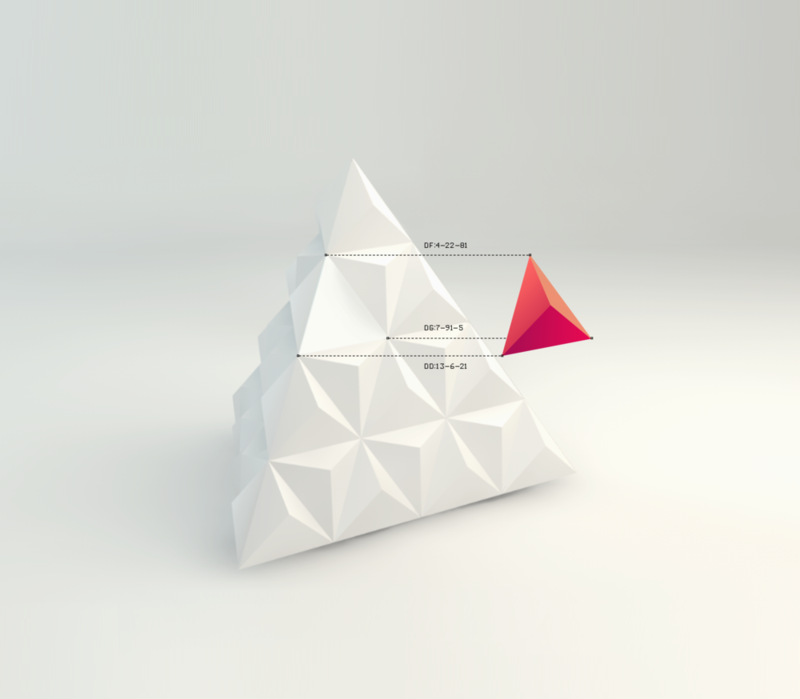 Here is also a link to a more recent (kind of low-poly) production – this time done in Cinema4D. I love the low polygon look more these days. I think it has something to do with Minecraft and how with small primitive shapes you can accomplish awesome designs. more nice inspiration pictures i found on the web you can add as inspiration link above. You can get graininess with low settings on ambient occlusion. Just lower the accuracy and samples and u get nice grain in the shadow area. Great tutorial! I think especially the rather short ones which remind u of all the tools and styles to get quick and great results are truly awesome! Sounds probably very vague, if possible i make short vid tomorrow to show it. n-side spline, extrude nurbs, cloner (many clones, I used 60). Turn off the position offset on the cloner. Add random effector, set it to affect position in x, y, and z as desired, scale as desired, and in my case I left rotation off but use it as you like. Apply an atom array to the cloner, shrink down the size of the atom array radii (I used .5cm for both), and apply a material to that for your edges. Render that out, render out an object buffer (or just apply a solid material to a copy of your cloner), then composite in Photoshop with some scratchy textures. Even with some time for trial and error, I was still able to replicate this look very closely in about 15 minutes. Thanks for your great stuffs. Love this style as well. I gave it a try and here are the results. Can anyone tell me how you would get the raised edges like the ones in the 3rd picture down? Use an atom array to get the raised edges. Since we’re in the season, I made a rigged c4d Santa and reindeer done in the low poly vein and am offering it up for free as thank you of sorts to the mograph/c4d community for all the stuff I’ve learned over the years. Hope everyone can find some use for it! Generic low-poly reels in 3.. 2.. 1.. I thought tutorials were supposed to be inspirational? I think it’s wonderful that you, probably unaware of it, managed to create a low poly version of the Swedish grand prize in film (our Oscar if you will) – Guldbaggen (The Flower Chafer, or Golden Beetle). Compare this http://www.goodbadgirl.se/wp-content/uploads/2010/01/guldbagge2.jpg to your second image. I actually think yours looks better, Guldbaggen isn’t really the best looking prize in the movie industry. Perhaps a result of someone experimenting with low poly models in C4D back in the days? You can also click the spinner next to your Gradient colors and change the knot type (“Interpolation”) to none. This provides solid color transitions. I created a Space image using these technique. It’s so much fun!! A different way to approach that same random look you get through displacer+noise is to grab your model, make it editable, select all the points (or some of them) and in the menu go to mesh/commands/ set point value. Selecting the “All” option to Crumple [Axial] you can set values to the 3 axis and it will randomize the points in all directions, based on these values. Also, you don’t need to delete the Phong Tag, just reduce the Phong angle to 0. Flavio you are a genius. All the ways to do this, until yours, are fine on a static image. If it moves they pop all over. You’ve solved it for me. Great stuff. This guys’ low poly stuff is amazing , I highly suggest to check his blog out. Here’s an oldie but goody. One of my favorite animations. I found this awhile back and it helped me with a project. The project files are even available on the artist’s website. 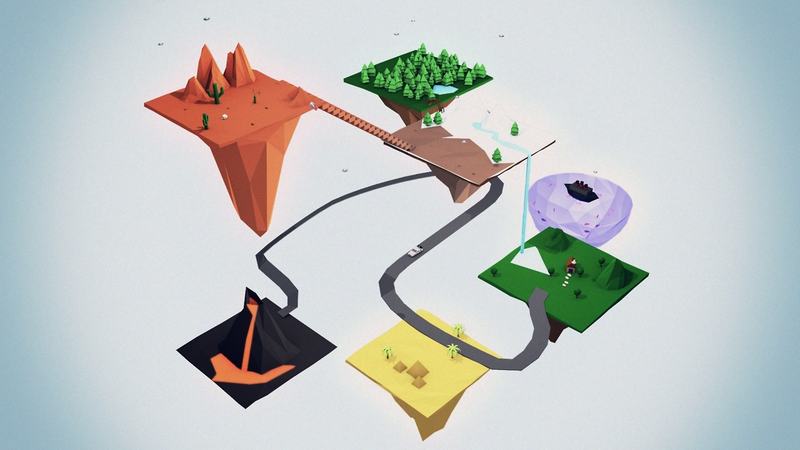 speaking of low poly stuff… want to share this project I did couple of months ago. Great tut Nick. I Always learn something new . Something ‘ive been wondering for a while is when i have a low poly object how do i texture it so that each face has its own ‘color’. say i have a multi colored texture, i dont want 2 colors be on one face, but rather have the edges divide the colors. Does that make sense? Check out my NAB talk… I cover something like this. Just wanted to say thanks for the awesome tutorial! I’m just getting my feet wet with c4d and loving every minute of it. Thank you for great and inpiring tutorial. this is so typically gen y.
why do all of your tutorials just show you how to recreate the trends that have been around for the last couple of years? do you call that creative? do you think that you are doing good to the creative communities by doing this? all you are doing is filling vimeo with tediously boring so called creative animations. i work in post production, we get so many showreels containing short animations just like yours. we get these guys in, put them on a REAL WORLD job… and they are completely useless, they look dumbfounded because people like you teach them that this is the way to go, this is how to be creative. this is generation y. you guys seriously think you have it all coming to you. it takes a lot more work than this to become a true designer than making this visual garbage. nick, are you able to think laterally? was you trained as a designer? you seem to be more of an operator than a designer. if you are a designer, why on earth dont you teach these people to think for themselves? i know you do tell them not to copy, to try to create their own. but i think you really need to explain to these people how to think like a designer, how to survive in the real world. i have seen the industry change so much over the last 10 years, when i trained at uni, i was tought to push my creative abilities, to think laterally, to want to be the next big thing or the next trend… all you are teaching these people is “come with me, i can show you how to fill your portfolio with 5 second visual garbage to look like a designer and get a job” people like you are actually killing the industry because the producers in the post / production houses see these showreels and think… “oooh 3d, bouncing balls, ooh they can do the low poly thing, ooooh you can do dynamics!! thats takes so long to do in maya but you did this is a day!!! wow!! !” these guys then get employed… then you have the deer in headlights scenario. all you people that think this site teaches everything you need to know to get into the industry…. all this will teach you is how to be 10% of what it takes to be successful in the industry. you HAVE to be able to think for yourself. try to create something that you actually came up with. inspiration does not have to be from sites like this, go outside, its everywhere! get away from your tv / monitor. Blah, get over yourself dude. Don’t automatically assume that everyone here is an amateur designer. There are people with all levels of experience that get lots of inspiration and happiness from these tutorials. Do you remember why you started in this business to begin with? Hopefully it was a passion for creating things and inspiring others. That’s exactly what these tutorials do my friend. I don’t know if you’re intentionally missing the point of all this, but this site is a great resource catering to all types of people – some who are interested in the technical aspects of what Nick teaches through his tutorials – some who are genuinely creatively inspired by the work they see here. I also suppose that many of the people who come here are hobbyists, many are looking to break into the industry, and some, including myself, already have a lot of experience and still find this a great resource for any number of reasons. Nick appears to be a genuinely nice guy, providing a service that hundreds (if not thousands) of people find inspiring and useful. Greyscale Gorilla is not the be all and end all of inspiration and learning on the web, and it never presumes to be. Nick does what he does, and does it very well. If you have more specific ideas for how being can be more creatively inspired, by all means, share them. That’s what this site is all about. im just sooo tired of seeing every under 25yr old’s reel that lands in my inbox is full of GSG tests. it just shows me absolutely nothing about that person. its just so bland. this is not pushing creativity. nick is always telling them to push themselves, but id rather see him show them some possible ways to do this. he’s definitely a talented guy, i admire his work too, its just his followers that really need to look at his work as inspiration, and not just make the same thing but in blue. In that case it seems like your problem isn’t with Nick, its with the people sending you reels. It’s not Nick’s fault that they don’t attempt to go beyond the short tutorial he makes. However, for those that do such a thing… it should at least make it easier for you to weed out the people that can’t think for themselves. It’s pathetic how you are blaming Nick for sharing his passion. He mentioned many times not to use any tut stuff in your reels. In fact, in one of his reel citiques he explains that no one should use any tut stuff for his or her reel and in the 5sec projects the topics are very large, so people will make unique pieces which show their talent and learn them how to be creative. Trust me. I feel your pain with seeing the same stuff in reels, blah. I’m doing the best I can. But, how could I simultaneously show people how to be more creative without making more copy-cats with the new “pushing further” tutorial? I always encourage everyone to push further than tutorials. Some will and some won’t. As for me “mimicking”. Your right. I love figuring out how people do things and showing others who are interested to learn though tutorials. That’s all. It’s what the site has always been based on. If you are looking for true unique inspiration, might I suggest another site or a walk in the woods. However, if you are interested in learning what I was inspired by enough to try to figure it out and use some fun tools to recreate it, you are in the right place. I can only teach what I know. I’ll leave it up to the other better designers to decide if they want to stat doing tutorials. i see your point nick. i really do. its just an unfortunate result. blaming you was wrong, its the new generation of motion graphic designers that i have a problem with. 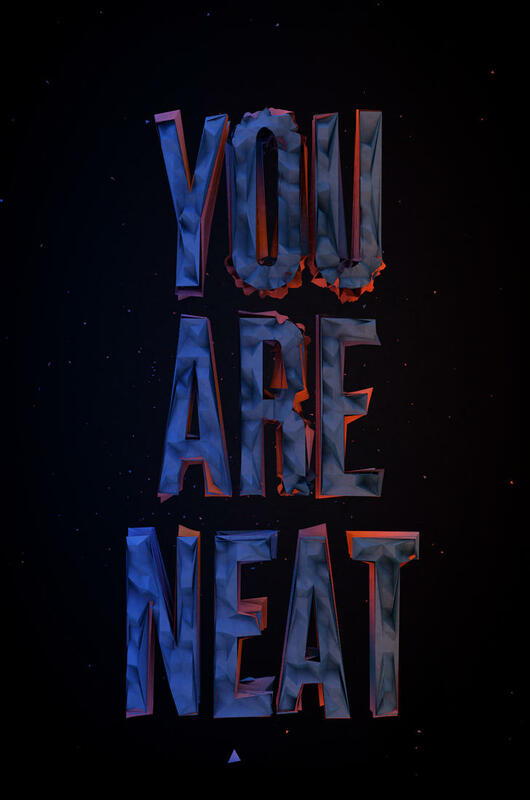 not you. i apologise for the way i worded it. just out of interest, did you study design at college? or self taught? I can’t imagine that this is not just someone trolling, .. but I guess I’ll bite. First off.. the best artists steal, borrow, rearrange, and add their own influence and style. This website can give you a basic idea on how to do something, you can then use that information to create the exact same thing that was shown.. or create something completely and utterly different than Nick or anyone else might have expected. No one here is going to use this website as their ONLY inspiration for art for anything they create in C4D or anywhere else. There is so much more I would say on this, but the rules at the bottom say not to be rude and I’m having trouble keeping the F-bombs at bay. hahah, are you under 28 by any chance? Portfolio full of GSG tutorials is the new filter for the no pile at my place. In the real world you will get told to make x happen or change y…. you need to know how to do it and not just be able to follow tutorials. The new crop of 3d people coming through don’t seem to know how to actually model objects… is something going wrong somewhere?! Jesus Christ, blah, you sound incredibly frustrated with your job. Remember when you started out and your head was full of ideas and inspiration and you had very little knowledge of how to get things done? All Nick and Chris (and Simon and the Monkey and everyone else on this platform) are actually teaching is for people not to be afraid to dive right in and try things out, not to be intimidated by the software but instead see the fun side of it and experiment. If it means copying other stuff as a first step to understand an approach, so be it. It’s the knowledge you take away from it that matters. Being able to work under pressure and in a team is the part you will learn on the job, neither Nick nor anyone else on the net can teach you that. And as an experienced artist you should be able to tell talent from a copy cat. It does start with the reel but heck, there’s usually a conversation involved before you hire someone. Blah – I’d LOVE to see all this groundbreaking work that is in your portfolio, since you obviously have such a taste for the original and unique. As others have already said here, Nick is simply using the excitement of learning “how did they DO that?” to help teach the tools. We ALL started somewhere, and learning how to use the tools properly is the first step in creating unique art that comes from the heart. Besides, let’s be honest here; if I were a kid wanting to start out freelancing (we ALL were at some point), and went through all of Nick’s tutorials, I would know 90% of what I would need to get booked on at least 75% of the motion graphics work out there. And that sure beats being broke, working as a checkout clerk for years while trying to figure out this stuff on your own! To repeat, Nick doesn’t teach creativity (though he inspires it). He teaches how to use the tools. Don’t confuse the two. p.s., Blah, are you also upset with all these hacks who actually use applications instead of writing their own source code? Really like the tutorial, but I have Cinema 4D R13 and I bougth the HDRI Studio Pack and when I was applying the seamless floor there is not that little box where you turn it to background. u can also hide the floor by un-checking seen by camera in external composting tag. or by simply turning off lights of Disc object aka floor. After playing with this tutorial I decided to figure out how to randomize the color of the polygons. That Timothy Reynolds guy is super defensive on twitter for no reason about HIS low poly style. I stopped following him because all he does all day is yell about people copying him or something. I bet he is pissed you posted this. A real artist doesn’t yell about people copying them, only enjoys that people like their work enough to do so. What is he so defensive about? And I’m not pissed at all. I’m flattered I was mentioned in the post. I just enjoy making my little worlds and will continue to do so until it’s not fun anymore. I hope that’s a long time from now. Thanks for the mention, Nick. at least nick is trying to share knowledge with a lot of us who are just learning and developing our vision. when anyone asks for pointers you give a BS answer… You think if you share a technique our work will look like yours? that is very conceited of you, and in-light of the fact that your work is still very immature. Your “vision” probably shouldn’t be what’s popular. Well you might be paid for ripping off someones technique @billy, but I make a living off my vision and the unique service I provide my clients. Loving your tutorials but I think you are overdoing it with noise in your post processing recently. Been interested in the style for quite a while so thanks a bunch for sharing your tips nick!!! Quick question though, how do you make this work with text? I am using motext to create the text and then setting the subdivision in the caps to quadrangles to get polygons, and also changed Intermediate points to natural and increased the number to get more polygons. The problem is that when I apply the displacer or the noise deformer pluggin the front and back cap of the letter look like are not “weld” to the rest of the letter, and I can’t seem to find a solution for this. Is this what you are looking to do with the text? Made it quick for an example, it’s pretty simple funny enough just convert the motext into a object and then connect all the objects together and then apply the displacer to it and it will work as it should. I made some random low poly shapes using a sphere with polygonal displace and polygonal reduction, then put it in an array object with some interesting results. Finally, brought it into after effects for some final touches. I really like your information. I would like to forward to my friends. I am also going to bookmark this informative page. Use an Atom Array to get the edges that way. Bravo!! i love this style thanks for sharing !!!! Hey Nick, is there a way of animating this low poly objects with a soundtrack? Thanks Nick! this is a good principle to make great things! I was searching this kind of tut!!! Gotta say this, its nice seeing how your style and quality has rised in the passed few years! From After effect tutorials or 7up text, to getting a great low poly render. Keep it up, nice seeing how you stepped out of your ‘mostly sphere’ look! Thanks, Tom. I love learning about this new stuff. Thanks Nick, and thank you everybody for all the inspiring links. My job just asked for something like this and I was really scratching my head! Great tutorial it’s awesome whenever I can get one that’s not too heavy on the pc. I walked away saying mission accomplished, here what I made. If rendering out a image , what is the best settings to do this on. My images look great on C4d but then I set them as a desktop background and they look grainy hazey, just not sharp at all. What am I missing?? You should render it out at your desktop resolution (or higher) 1920X1080 would be a good call. If there’s a lack of sharpness turn up the Anti-Aliasing and switch it to Best at least. Graininess could be from the Ambient Occlusion – turn up the maximum samples if so. Compositing of vrayforc4d and cell renderer effect. Thank you for another great inspiration Nick! Great tutorial! Tried to make something with the effect, thanks again GSG! Hi! Thanks for the tut, Do you know how to apply this to Type? I’ve been trying but I can’t get the result I need!! HELP! What a cool tutorial Nick!. I have been playing with this technique all day. Here is a sample. Thanks! Nice tut as usual and well explained. How did you make the sphere look so colorful in the second pic? I tried it too. Really love the look! The cell renderer in the render settings effects menu is also a great way to create a low poly look. You don’t even have to delete the phong tags or anything all, the objects you have can be rendered with the cell renderer to give you the same looks. There’s more than one way to skin a cat, offcourse. I love this prog especially with After! Hi, I was just wondering if it’s possible to achieve this same low poly effect with text? 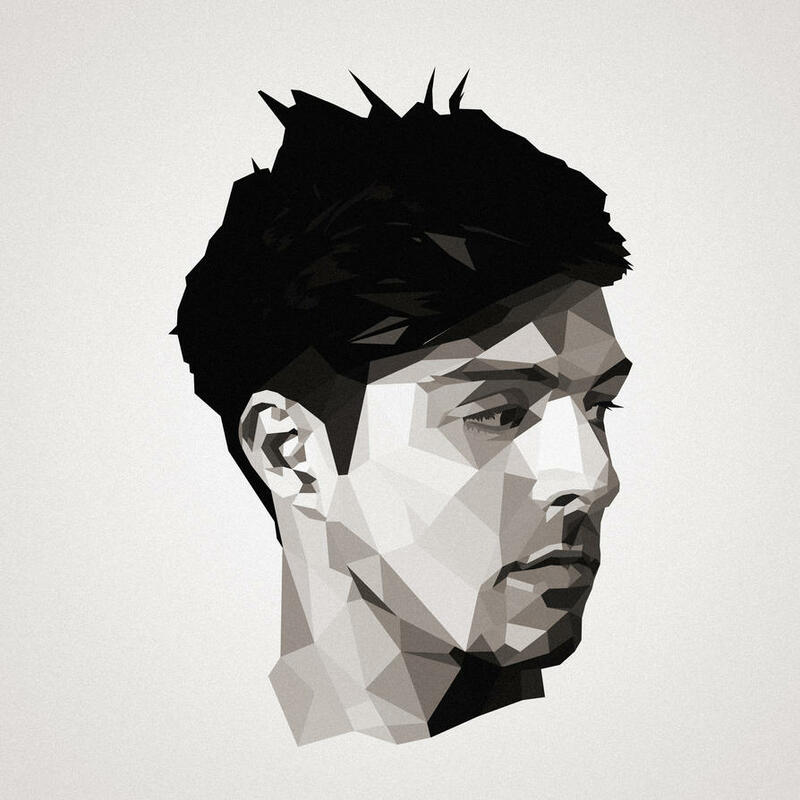 There is this cool designer who has done this low poly polygon. It is crazy how she has modified the surface without touching the original sides of the pyramid. But with these tutorials it is not possible to do such a think like that! Does anyone knows how was it done? This is by far the most helpful tutorial I was able to find in the whole www about low-poly art! Thanks a bunch!!!! Brilliant Stuff! Been looking for this for a while now.. Thanks a lot Nick! I’m trying to find a solution, if someone has one please fell free to share! I really like this low poly look! I was wondering how to use it on an extruded path? first of all thanks for your nice tutorials : ) keep up goods. Hello, thanks for the tutorial, it is very helpful for beginners. Can you please tell whether the features used in the tutorial are available in C4D Prime, or the full C4D Studio is needed? Thank you. Does anyone know why my low poly shape changes when I render it out? Its looks normal when I render within C4D but when it goes out to preview the shape and poly get reduced? Haha Nick! Your are the best! Tanks for all this tuts! YOUR TUTORIALS MAKE ME HAPPY EVERY DAY. I LOVE IT. : ) THANK YOU SO MUCH !!! YOUR TUTORIALS MAKE ME HAPPY EVERY DAY.THANK YOU SO MUCH!!! i wonder how did you get the material of de picture above with the 2 color rings and black wall? Thanks! Hey thank you for the video!! One thing though… I can’t seem to find the Seamless Floor thingy anywhere in the HDRI Studio pack. I saw something that said it is now part of the HDR Rig, but i dont see that either. Is it another pack i have to buy? i would know how can export a obj without the phoning. I am trying to use the displacer to create a sphere with 3-facet triangular pyramid shaped points, but can’t get the shape quite right. It’s coming out too abstract. A quick go with the sub-polygon displacer is a little too pointy, finding it hard to get the triangles. This is a stunning tutorial!! I’ll use this to make my cover cd album at last!! <3 Thank you so much! Thanks for this tutorial. Just starting to use C4D and this was a really cool starting project. I am from China, quitely interesting! yet they are completely Badass!